Kerry Franciscovich describes herself as a lifelong garage-sale scavenger, reselling her finds over the years on EBay Inc. So when she wanted to earn some extra spending money, she decided to step up her online game. 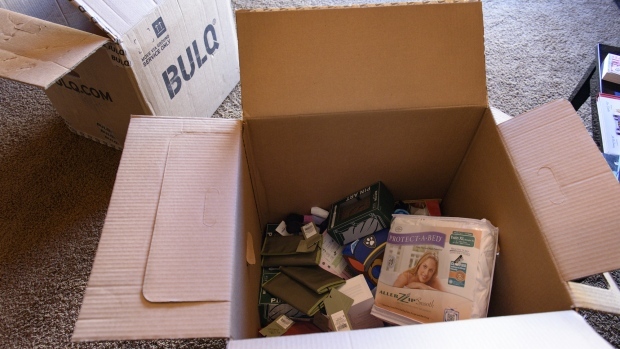 With merchandise she bought from Bulq.com, a new online business that sorts and repackages returned items into boxes and pallets, she listed still-new items on her Amazon.com. Inc. marketplace account and sold others through EBay. Even keeping about half the items, she made US$253 for about four hours of work, more than doubling her money. Franciscovich is one of hundreds of thousands of users of new resale businesses taking advantage of a wave of returned merchandise flowing from e-commerce -- about US$370 billion worth last year. As overwhelmed retailers search for cost-effective ways to recover more cash from the flood of returned goods, resellers of all sizes are stepping into the void. Bulq and B-Stock are among companies whose business is to help retailers cut out middlemen –- mostly huge liquidation companies -- that historically scooped up returned merchandise for pennies on the dollar and then flipped the goods, sometimes several times, before selling them to discounters such as T.J. Maxx. As returns swelled with e-commerce, retailers began searching for ways to cut their losses. While returns to physical stores average about 8 per cent, the rate is almost three times higher for items ordered online, said Tony Sciarrotta, executive director for the Reverse Logistics Association, an industry group for the business of returns. “People are buying things on a screen, and that’s not the same as in a store where you touch it and feel it,” Sciarrotta said. In 2018, returns swelled to US$370 billion out of US$3.7 trillion in industry sales, according to Appriss Retail research. Tobin Moore CEO of Optoro Inc., which owns bulq.com, recognized a business opportunity. “We saw how much money was being lost and how inefficiently these goods were being treated,” he said. For resellers like Franciscovich, 56, Bulq offered the chance to buy returned items by the box or pallet, sorted by category and with a list of what each shipment contained. She paid about US$100 for her first box in May, kept many of the 56 items inside and sold what remained for more than twice what she spent. Buoyed by the success, Franciscovich expanded her business, which took over her garage, then a spare bedroom and her dining room. Not every box is a gold mine, which is part of the risk of the business. "Some boxes, it takes a lot of work to get the profit out of them," she said. Even as a small, part-time reseller doing business as Picasso Kat Treasures, Franciscovich says she doubled her sales last year to US$33,000, with about a third of that going to costs. The new outlets benefit retailers by giving them more direct ways to resell their stock at higher prices. Optoro provides a system retailers can use to sort returned stock, identifying the best channel to remarket the goods to save time and money. Other websites cropped up, such as source.com, amlinc.com and palletbid.com, selling items by the box, pallet and truckload to any willing buyer. All this gives aspiring entrepreneurs a way to share in the profits. Ten years ago, Maria Isho discovered the resale world after volunteering to organize a Christmas sale for a school fundraiser. It took days and countless phone calls to track down enough cheap wholesale merchandise -- no one wanted to sell such small amounts to an individual. The experience inspired her to start her own business, MBA Trading Group Inc., based near Los Angeles. Finding merchandise remained the hardest part until B-Stock came along four years ago. Their online auctions sold goods by the truckload, packed with returned merchandise from retailers like Target Corp., Lowes Cos. and J.C. Penney Co.
Optoro started its Bulq.com business in 2015 as another option for retailers to get as close as possible to the end consumer, Moore said. “We asked, ‘What’s the fastest way to get this inventory to as many people as possible,’” said Larisa Summers, Optoro’s e-commerce and digital marketing chief who leads the Bulq business. The website takes some of the risk out for beginners by selling in smaller lots, charging a fixed fee and providing manifests of the items in each box. The rise of online sources of returned merchandise helped inspire Chuck Popovich to make the leap into starting his own full-time business in 2016 after years selling on EBay as a hobby. In 2017 his “Bricks to Clicks” home-based business made US$300,000 in sales through outlets like Amazon and EBay. Last year he expanded into a 7,000-square-foot warehouse near his home in Genoa, Ohio, stocking more inventory sourced through bulq.com and direct from large retailers. This year Popovich has set a goal of US$1 million in gross sales. In February, he had 76 pallets of products delivered in just one week.